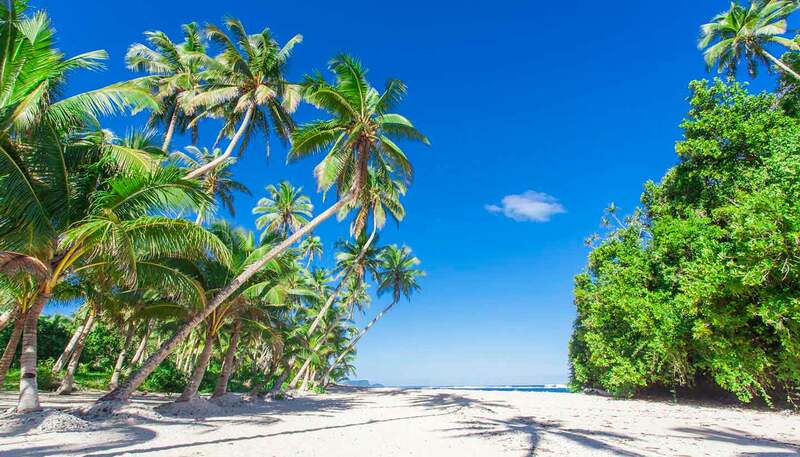 Samoa has a warm, tropical climate tempered by trade winds between May and September. Temperatures remain relatively constant throughout the year, becoming cooler at night. There are more than 2,500 hours of sunshine annually. Rainfall is heaviest between December and April. Sea temperatures rarely fall below 24°C (75.2°F). Lightweight cottons and linens with warmer clothes for evenings. Rainwear is advisable. Samoa consists of nine islands. The largest of these is Savai'i, which covers 1,610 sq km (622 sq miles); fertile Upolu, the second largest (1,120 sq km/433 sq miles), lies 13km (8 miles) to the southeast across the Apolima Strait. The islands are quiescent volcanoes and reach heights of up to 1,858m (6,097ft) on Savai'i and 1,100m (3,608ft) on Upolu. Volcanic activity has not occurred since 1911. The main city, Apia, is located in the north of Upolu.